If you pre-pay for 10 intermediate & advanced group classes, you get 1 hour of free private class. 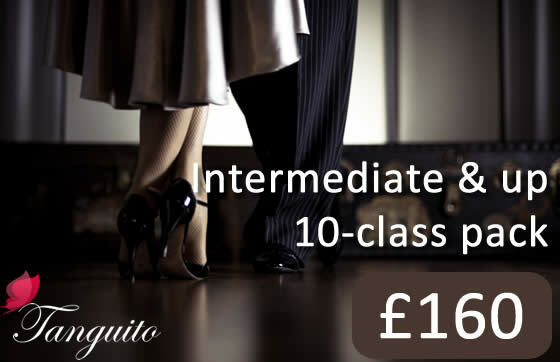 With this package, you can join 10 intermediates & advanced classes (90 min of tuition each). 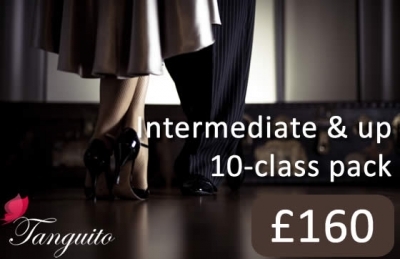 After the class, you have full access to our practica / milonga and can enjoy hours of social dancing, so that you can practice the moves you've just learned.